Primiracconti is a series of easy readers for adult students and for teenagers . An Audio-CD including professional multi-voice reading of the text to help students grasp the accent, the pronunciation and the intonation while practicing on listening exercises. On a warm September morning, George (a university Law student) and Mario (a known and serious lawyer) have a chance encounter / car crash at an intersection in the center of Milan. For George, Mario is the image of what he aspires to be when he “grows up”, on the other hand, for Mario George is the image of his past as cheerful and carefree boy, now a distant memory. Can a car accident become the occasion for a new friendship? Mistero in Via dei Tulipani (A1-A2) is an absorbing story, and not without twists, which takes place inside a condominium. It all starts with the murder of Mr. Cassi, the tenant on the second floor. Two sixteen-years-olds, Giacomo and Simona, decide to set out in the search of the assassin. The investigations will lead them to discover not only the murderer, but also love. 10 short stories inspired by Nuovo Progetto italiano 1. 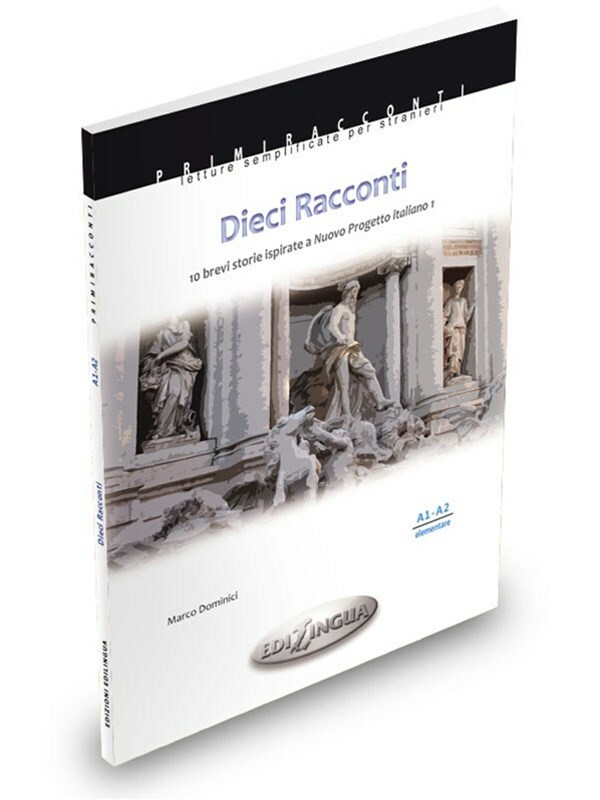 Dieci racconti is a collection of 10 very short stories inspired by some dialogues of Nuovo Progetto italiano 1 and related to the vocabulary and grammar of the units of the course. Many of these stories are, so to speak, "interactive", meaning that they involve students directly inviting them to complete or to guess the ending of the story and to rebuild or re-invent the plot. Il manoscritto di Giotto (A2-B1). Who stole the manuscript? 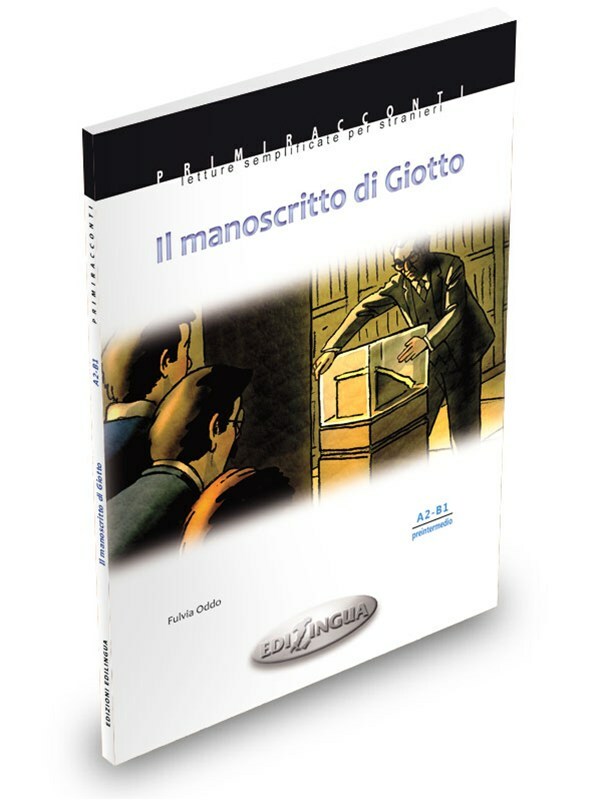 The life of the young protagonists is shaken by the theft of a priceless work, a treatise on painting which also reveals a secret about the great artist Giotto. Could the thief be among them? This is what the police seems to think and this is also what the evidence shows. The case will be solved only thanks to the friendship between the young protagonists and the careful investigation of Inspector Paola Giorgi. Alberto Moravia (A2-B1) presents selected adapted stories from Gli indifferenti, Agostino, Racconti romani (Il picche nicche, Pignolo, La ciociara, Le sue giornate, La raccomandazione, Quant’è caro), La ciociara, La noia. Moreover, the book contains a brief biography of the author, footnotes, original illustrations and a section dedicated to didactic activities with accompanying answers. Dino Buzzati (B2, C1) presents adapted stories selected from: La famosa invasione degli orsi in Sicilia, Il deserto dei Tartari, Un amore, Sessanta racconti (I sette messaggeri, Il musicista invidioso, Era proibito, Le precauzioni inutili, Inviti superflui, Il colombre), Il grande ritratto. Dino Buzzati also contains the author's brief biography, footnotes, original illustrations and a section dedicated to didactic activities with keys. Italo Calvino (B1-B2) presents selected adapted stories from Il giardino incantato, Il visconte dimezzato, Il barone rampante, Il cavaliere inesistente, Il castello dei destini incrociati, Le città invisibili, Se una notte d’inverno un viaggiatore, Gli amori difficili, Marcovaldo, Palomar. Un'avventura indimenticabile (B1): during a school trip to Palermo, some students from Firenze will explore unknown and frightening places of the city. Lo straniero (A2-B1 level): an extra-terrestrial arrives in Italy and faces a range of amusing cultural and social misunderstandings. Alberto Moravia (A2-B1 level): adapted passages from selected works of the writer. Un giorno diverso (A2-B1 level): a man suddenly decides to completely change his life. Il manoscritto di Giotto (A2-B1 level)*: the theft of a priceless work of art puts the two young protagonists’ friendship to the test. Undici Racconti (B1-B2 level): eleven short stories that mix fantasy and reality. L'eredità (B1-B2 level): Laurence abandons everything and everyone to follow her dream: create a B&B all on her own. Ritorno alle origini (B1-B2 )level)*: a man’s trip to reveal a mystery will turn up to be a dive into his past. Il sosia (C1-C2 level): a rich businessman, Onofrio Maneggioni, is kidnapped in front of his villa.